Nothing in and nothing finished this week! Check back to see what my UFO is for March at the Parade at 52 Quilts. Will also have a few other things in the works for March. One will be a quilt for my new granddaughter born on Feb 17th. 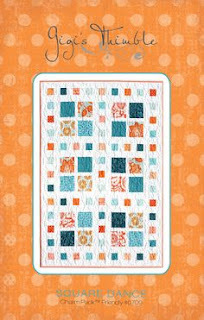 It will be the pattern below from Gigi's Thimble, called Square Dance. I will be making in pale pink, mint green, grey and black. Hope you have a great week and are making a dent in your stash! See more at Patchwork Times.